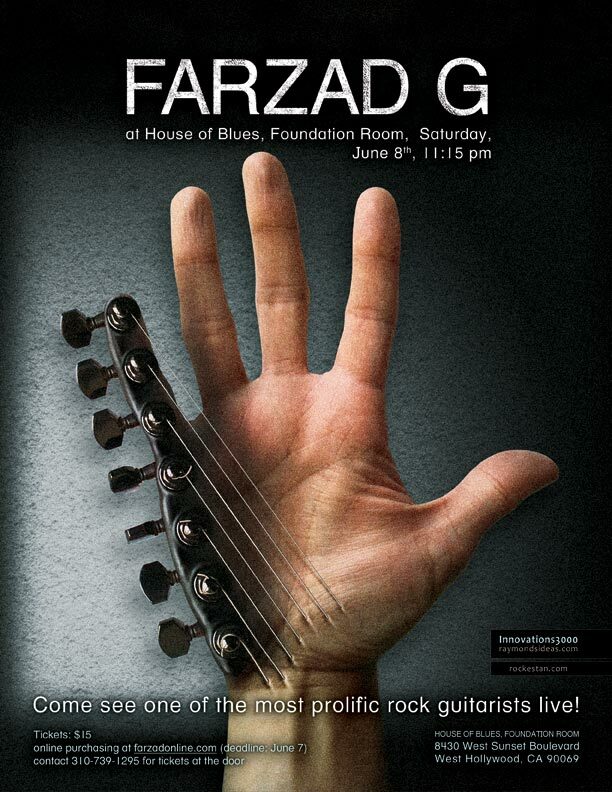 Farzad performs a solo performance at “House of Blues, Foundation Room” Los Angeles, West Hollywood. He will be performing tracks from his fifth record, album “Five” which has Ambient and Electronic theme with Technical Electric Guitar Solos. June 8th, 11:15 pm | 21+ | Please arrive EARLY so you don’t miss a minute of the show. contact 310-739-1295 for tickets at the door. * by Advance Purchasing you Don’t need a physical ticket. Just show up at the entrance with your ID card. For Facebook Event please click Here. 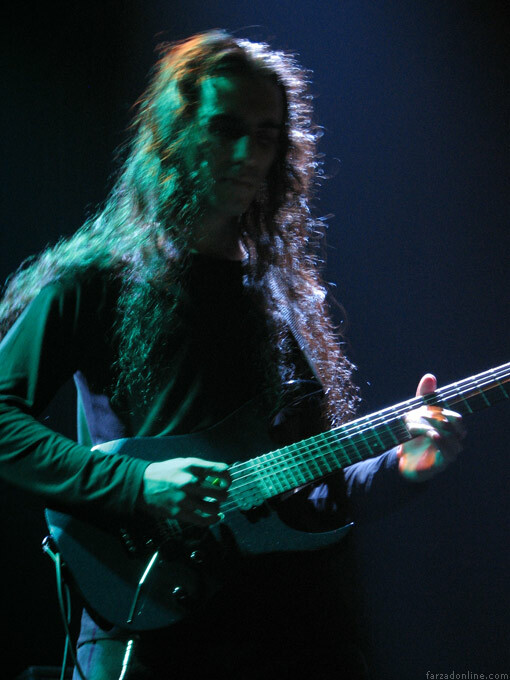 Farzad held a gig in “IRANIAN INTERGALACTIC MUSIC FESTIVAL” performing at October 2006 in Zaandam (The Netherlands). 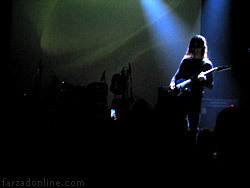 Due to some problems Farzad couldn’t go with his band and he playbacked the songs (instead of guitar parts that he played) with video clips that had been made by his paintings, and he played on it. it was a concert with a different visual performance. Some tracks from Albums “One”, “Two” and “Three” was playing in that gig. For view some pics from that concert checkBand Photos page. There were 12 Iranian bands and musicians from Iran and Europe with various styles in that Festival. Goal of festival was make progress for new Iranian music styles instead of current commercial styles.